Companies and brands who use charity sponsorships as a key tool in their promotional strategies are on the increase, writes sponsorship expert Abby Clemence. I think it’s time we all had some good news. I recently read a report called What Sponsors Want and Where Dollars Will Go In 2016 from IEG as a result of a recent global survey they have undertaken with sponsorship decision makers, and I’m glad to say that it’s good news for the for-purpose sector. You can read the full report here, but there were a few overall key findings that I thought needed immediate mention. The report reveals that marketers are becoming more confident in their spending as favourable economic conditions continue to prevail. Companies and brands who use sponsorship as a key tool in their promotional strategies are on the increase and that trend has been steadily growing since 2014. Sponsorship, far from being the smallest piece of the marketing budget pie, is projected to be on par with a company’s spending for advertising, marketing and promotion, and in North America (where many of our trends in Australia flow on from) sponsorship spend is set to outpace other forms of marketing spend. Specifically for the for-purpose sector, marketing budget driven sponsorship is growing year on year but excitingly, the landscape of how causes are funded is becoming more fluid as more and more companies choose to combine marketing-funded programs with initiatives that also look at CSR and philanthropy as ways to engage with our sector. A big growth area amongst the sponsorship decision makers who were surveyed (and this correlates strongly with our own research) was access to digital benefits, with 95 per cent of respondents saying that social media was extremely important to their outcomes. One very interesting piece to come to light in the survey (and a huge opportunity for our sector) was the fact that the majority of sponsors are looking for assistance in measuring ROI because they are not doing a good job at evaluating the return on their own. Significantly more sponsors are seeing value in organisations and events that can provide reporting and tracking of the sponsorship’s effectiveness. Interestingly, the report reveals that sponsors seem to be most interested in how their brand is perceived, and what the awareness levels are around their products and company than metrics around sales. This is something that for-purpose organisations can easily do, and to be able to promote that during the initial relationship building phase would add potency to your approach. Seven out of 10 sponsors said that they were in the market for new sponsorship relationships and for every $1 a company spends on a sponsorship, they spend $1.80 activating (promoting) that sponsorship to make it work for them. Don’t forget that key piece of information when you are thinking about what to value your sponsorship at. A company will always have to factor in activation costs on top of what you charge them. Having said that, remember that to the right company, you are a valuable marketing partner in their brand story. There is worth in “who you are and what you do” so don’t settle for peanuts. 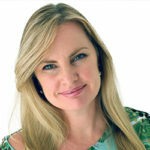 About the author: Abby Clemence is the managing director of Infinity Sponsorship and founder of the world’s first online Sponsorship University for Not for Profits and charities. She has created a free sponsorship health check that allows organisations to evaluate the areas of development in their Not for Profit’s sponsorship strategy. Downloaded her free ebook filled with templates and checklists – 8 Tips To Give Your Sponsorship Strategy An Unfair Advantage.